Why all the hate for our man Steven? 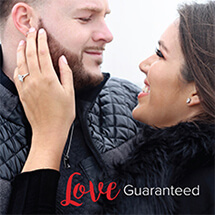 It all started more than twenty years ago when a guy proposed to his girlfriend with a gorgeous diamond engagement ring he bought from Steven Singer Jewelers. Naturally, she said yes. 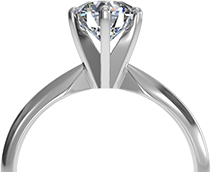 Twenty years later, he buys her another Steven Singer diamond ring to celebrate their 20th Anniversary. She was so excited, she gave her husband an even better present right back (wink, wink). Exactly nine months later, the couple walks through the door to show Steven their new baby. The wife proclaimed “I love Steven Singer!” The man responded “Here we go again. We’re up all night with feedings and diaper changes. 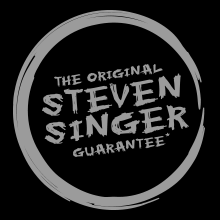 I HATE STEVEN SINGER!” So there you go. The story of why men hate Steven Singer. And why women love him and his beautiful diamonds! Some people you just love to hate. Steven Singer is one of those people. Just look at all he’s done. While some guys were flipping burgers and delivering newspapers, Steven’s high school job was selling jewelry wholesale on Philadelphia’s Jewelers Row. 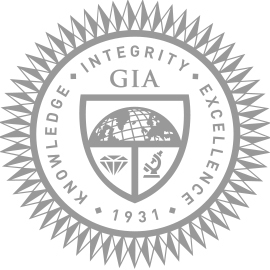 Never content with being an average guy, he also completed courses in diamond residency, color stones, gem identification and cultured pearls at the Gemological Institute of America (GIA). Even then, Steven was your classic overachiever. Don’t you just hate guys like that? 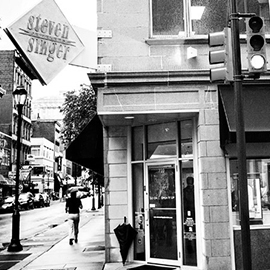 Things really kicked into gear on October 7, 1980 when Steven opened the doors to the first Steven Singer Jewelers in the heart of Philadelphia's Jewelers Row. 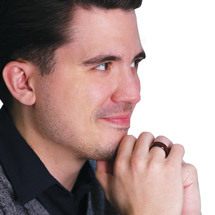 At just 22 years old, Steven earned the distinction of being the youngest first-generation jeweler on Jeweler's Row—the oldest (and second largest) jewelry district in the country. And, with his store measuring a scant 8' by 18', he also had the distinction of owning the smallest store on the street. Fast forward to 1986. 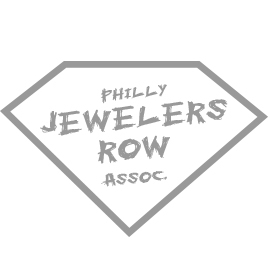 Steven decided it was time to start the Philadelphia Jewelers Row Association to create a code of ethics for jewelers and to market the district to customers throughout the region. 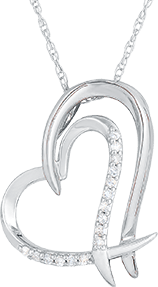 Other jewelers took a shine to it, and it grew quickly. 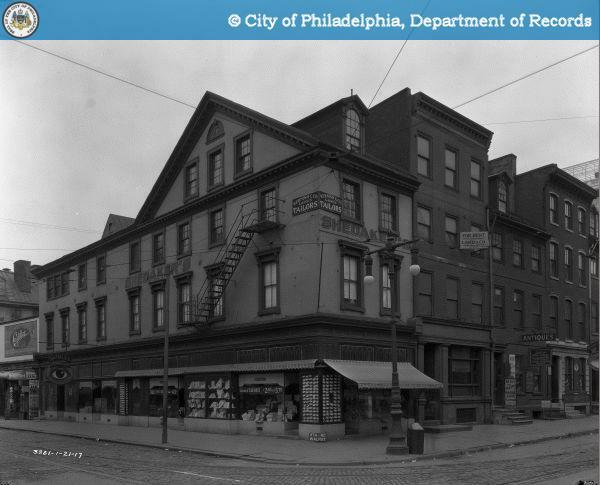 That same year, Philadelphia Mayor Wilson Goode declared September 14-20 as Jewelers Row Week, unveiling new Jewelers Row street signs. Evidently he took on City Hall…and won. Steven’s still active on the Philadelphia Jeweler's Row Association (PJRA) and currently sits on the Board of Directors. Steven quickly outgrew his 8' by 18' space. Then outgrew it again. And again. And again. 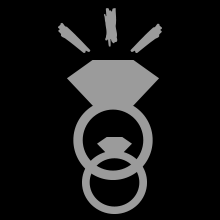 By 1996, his reputation as a leading diamond and fine jewelry destination was winning over customers and the jewelry industry alike. 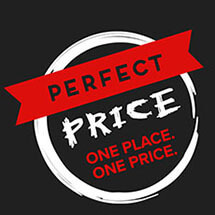 The store’s success was evident—with some of the highest sales per square foot in the nation. 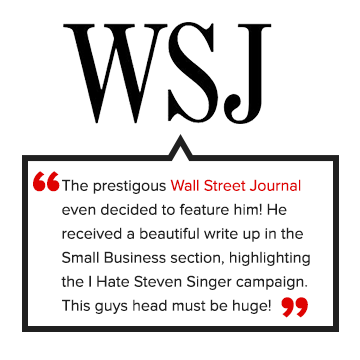 Steven was asked to join an elite group of jewelers who form the world’s largest industry consulting group. 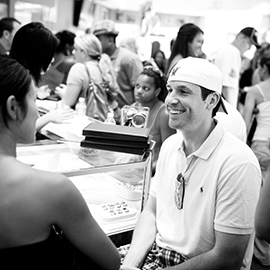 He was the only area jeweler invited to join, giving him privileged information to better serve his customers. In September of 1999, Steven purchased his current store—a three story, 6500 square foot, block-long building on the other corner of 8th and Walnut. 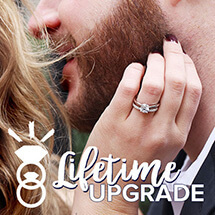 The new store also afforded him the ability to create a full service custom jewelry shop with a master jeweler, diamond setter, wax maker, designer and polisher. 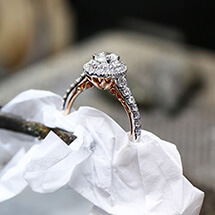 Ever the showman, Steven even designed the space so customers could watch their jewelry being made through a glass wall. People love that. 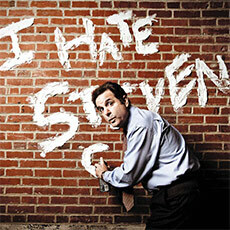 You can’t listen to drive time radio in Philadelphia without hearing some reason to hate Steven Singer. He's all over the airwaves. 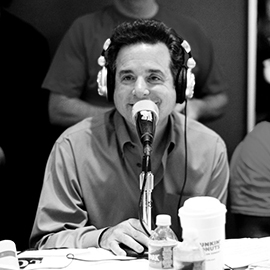 Steven started advertising on Howard Stern during his two decades on terrestrial radio, becoming well-known to Stern listeners. Now on satellite radio, Steven’s commercials are heard around the world. An obvious media darling…Steven is a regular on the 94WIP Morning Show with Angelo Cataldi. He’s also one the sponsors of WIP’s annual Wing Bowl event, nationally recognized as one of the largest eating competitions in America. 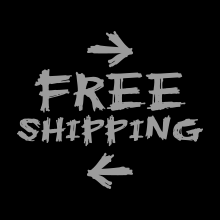 Guys definitely love that. 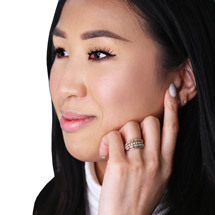 And since nobody can eat that many wings without some sauce gettin’ all up in they bidness, Steven Singer Jewelers also hosts the World’s Largest Bubble Bath, where Angelo and his crew broadcast from Steven’s bubble-filled jewelry store. 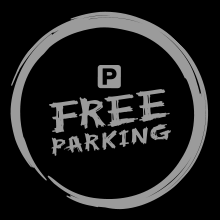 As for other radio stations, WMMR’s Preston and Steve portray Steven Singer as the devil who mines for diamonds on his way up from the pits of hell, and eats babies for breakfast. Opie and Anthony of SiriusXM The Virus, Michael Smerconish of SiriusXM Potus, Mike Missanelli and Mike & Mike of 97.5 The Fanatic, and Elvis Duran on Q102 in Philly and Z100 in NYC are also learning to hate Steven Singer. Steven Singer has become a landmark in The City of Brotherly Love. And the guy bros love to hate. Radio and billboards are great. But you know what’s really great? Having your name on a friggin’ NASCAR! In 2011, Steven signed on as a marketing partner with JD Motorsports in the NASCAR Nationwide Series. 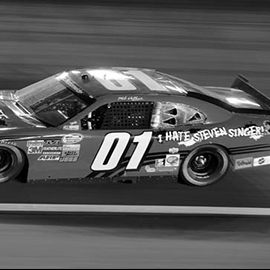 The #01 “I Hate Steven Singer” Chevrolet driven by Mike Wallace competes in NASCAR Nationwide Series events at Dover, Kansas, Charlotte, Phoenix and Homestead. “Trust your gut, never give up, and face adversity head on. 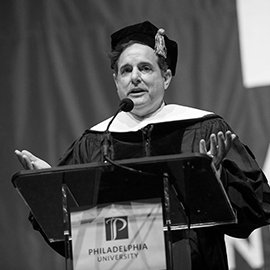 The path to success is often disguised with immense obstacles and wrong turns.” That’s the advice Steven gave to new graduates during the 132nd Commencement at Philadelphia University. The university asked Steven to be their keynote speaker for his business savvy, hoping the Philadelphia born and raised marketing behemoth would inspire graduates to aspire to greater heights. Steven delivered. So Where Has All This Hate Gotten Him?